The window to have online gifts delivered in time for Christmas is closing fast. 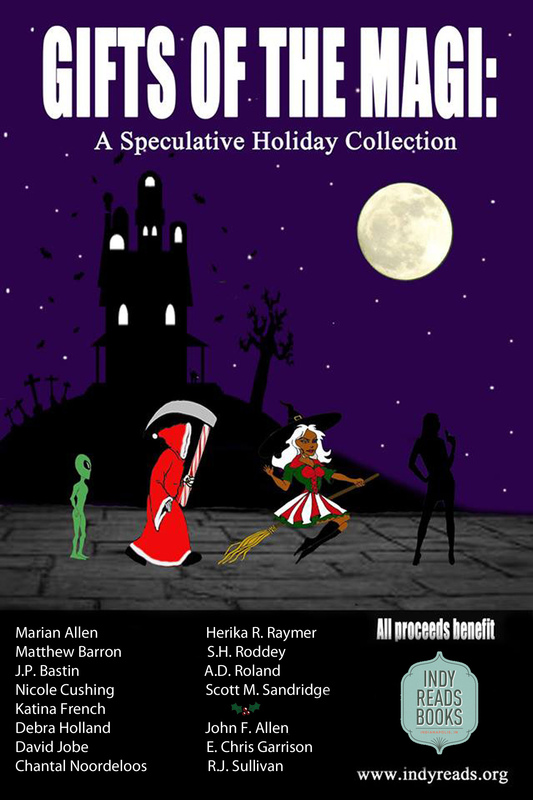 Fortunately, we’ve got the fantasy /horror /sci-fi loving readers on your list taken care of with GIFTS OF THE MAGI: A SPECULATIVE HOLIDAY COLLECTION. When you order the paperback thru Createspace and use the coupon code at checkout, you get 15$% OFF, now thru Friday! As always, all proceeds benefit Indy Reads Books. Coupon Code: NLFSFAEC Code effective now; expires Saturday, Dec. 13. Thanks for your support. The authors and editors of GIFTS OF THE MAGI wish you a very Merry Christmas. This entry was posted in Uncategorized and tagged 15% off, anthology, Christmas, Christmas Deal, Chrsitmas Gift, collection, coupon, Gifts of the Magi, holiday, last chance. Bookmark the permalink.